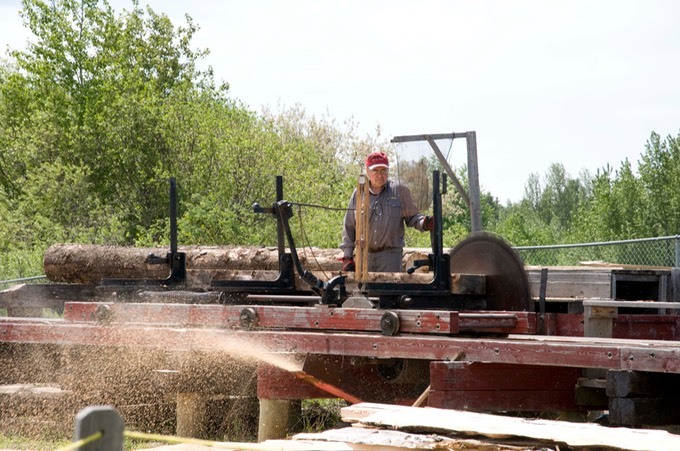 This full size sawmill was donated by Wilf Schoepp and brought to the museum in 1998. It was rebuilt by Alex Sokol and was fully working in 2003. It is powered by tractor and has a 36in blade. All the lumber cut was used by the museum for our projects such as our boardwalks and small display buildings like the Blacksmith shop. 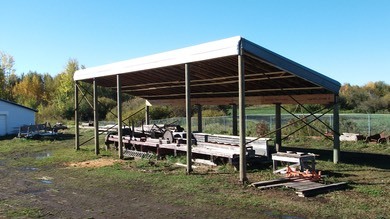 In 2010 it was moved to its current location onto new pilings and a roof was later added. It is currently not in use.